Email marketing is still one of the most viable and successful business tools out there. Whether business to consumer or business to business, email still drives a lot of our commerce. Email has matured, but some companies have not matured with it. 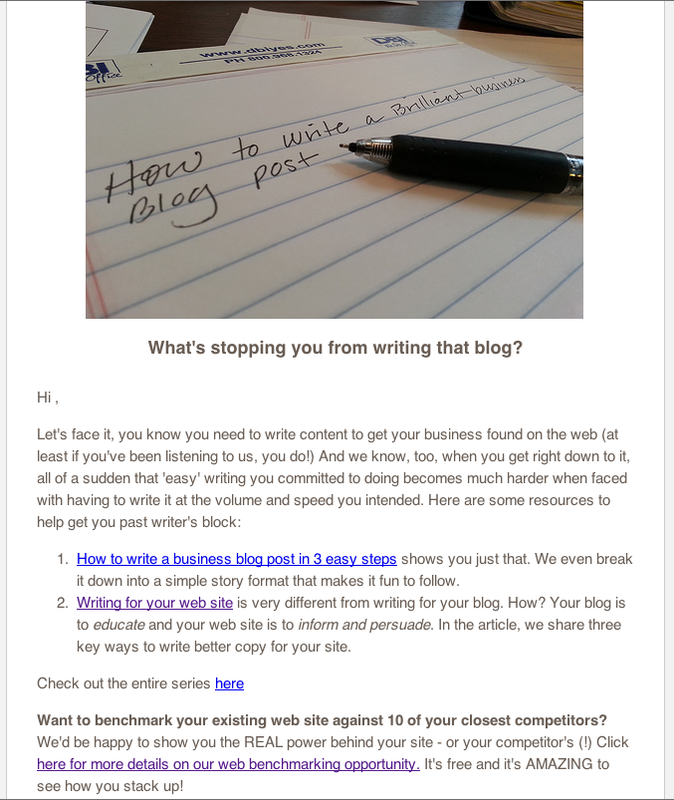 What constitutes a good marketing email? Let's break down the top six ways you can craft a better marketing e-mail. 1. RECOGNIZE YOUR CUSTOMERS ARE ON THEIR MOBILE DEVICES MORE THAN THEIR COMPUTERS. Making sure your email template delivery is NOT crafted in something that looks good on a computer, but terribly tiny on a phone is critical. If you don't know for sure, sign up for your own email, check it on your smartphone. 2. Tailoring the content by persona, not blasting all your customers in a group. Your email marketing lists should be segmented by persona - that is the audience member you're interested in targeting. Yes, you can target your entire list, but not every member of your list is interested in the two or three topics you're covering in each issue. Segment these lists into interest/persona categories and email smaller segments with more targeted content. You'll get better open and click through rates. 3. Keeping them short, and sending them to your blog or website. Yes, you heard right - since you'll have your lists segmented, you can send more emails out more often - but you'll be targeting different groups in each one, so the single touch-point for any one person is probably with slightly less or same frequency as you do now. Plus, you'll get better response because of the aforementioned content and persona targeting. 5. Write better subject lines. You can be to the point without being overly clever. Keep them short, too as most phones show only a short sentence and that has to entice them to click to read. 6. Include an offer, but not a product offer. Give them a reason to click on something (your content) that is useful and helpful. Useful is key. Sales is not useful. (There, offended every EVP of Sales out there, boom, just like that.) Information, education - that's useful. If you are selling products, give the top five integration or uses. If you're selling services, give them benchmarking, or checklists or helpful how-to articles that tie in with your services (maybe even complement them.) Some examples include: how to style that product 5 different ways, or the four things that you need to do before upgrading your auto insurance. Or even six important tax considerations for every business (retail, insurance, accounting, respectively). These tips will go a long way toward improving your open and click through rates on your e-mail. And if your email performs, one of the best business generating tools out there has more power to help you drive increased sales! For more information on how your marketing techniques can help your sales and your potential customers, check out our blog on inbound marketing.